Mitch Trubisky went from being the No. 2 overall pick in the NFL Draft to the No. 2 quarterback on the Bears depth chart. Head coach John Fox told reporters on Wednesday that Trubisky will be the man backing up starter, Mike Glennon. “He earned that spot,” Fox said. With that spot comes the responsibility of helping lead the preparation reps for the defense. Both Trubiksy and fellow backup quarterback Mark Sanchez will oversee that role. 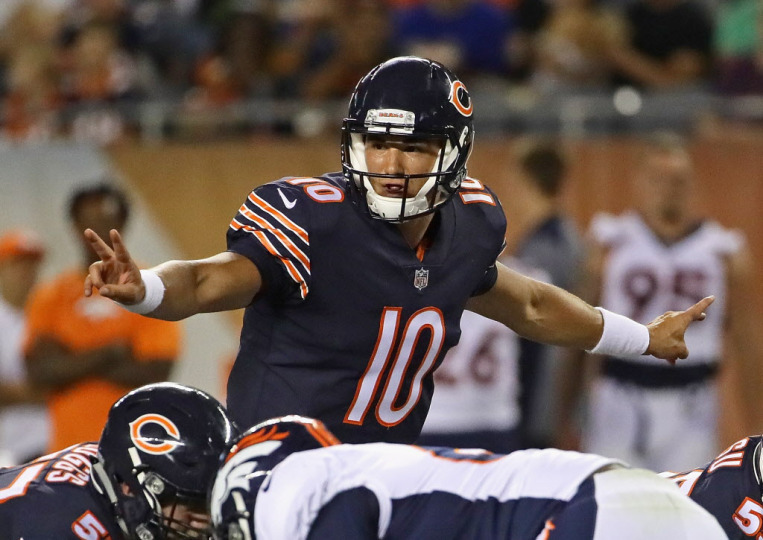 For offensive coordinator Dowell Loggains, he said Trubisky’s progression from OTAs to his performance in the preseason is why he earned the backup spot. Loggains also said that Trubisky’s biggest improvement from when he was drafted to now is his understanding of the NFL game. The reasoning Trubisky has been able to progress faster than anyone in the organization has expected is due to the 23-year-olds poise. That was something Loggains praised Trubisky on, saying that “he never gets rattled.” Regardless of how hard Trubisky is coached he is the same person every day. Even though Trubisky was the first quarterback drafted, he is still learning the NFL game, and Loggains said he never wants to limit what his players are capable of, but he was impressed with what the rookie recognized during the preseason.